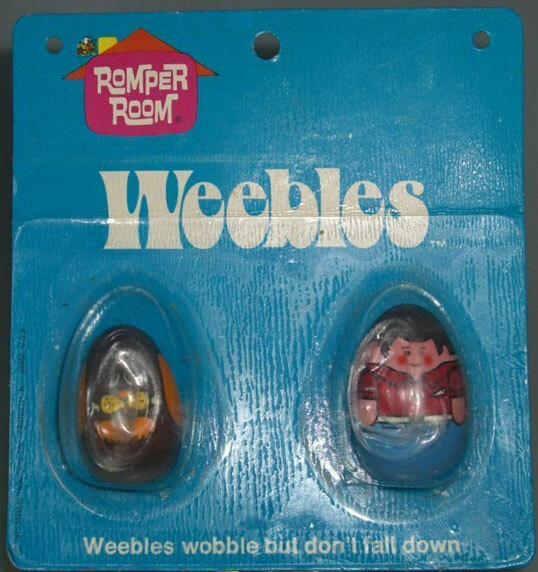 Description: This set includes 2 Sesame Street Weeble figures: Cookie Monster & Oscar The Grouch. HTW385 - Cookie Monster - Blue base, light purple top with Cookie Monster eating chocolate chip cookies picture on both sides. Marked, "©1982 Muppets, Inc., Pat 3, 805, 444". HTW386 - Oscar The Grouch - Silver base, silver top with Oscar's picture on both sides. Marked, "©1982 Muppets, Inc., Pat 3, 805, 444".